BERLIN, Sept 29 (Reuters) Volkswagen (VOWG_p.DE) said on Tuesday it will repair up to 11 million vehicles and overhaul its namesake brand following the scandal over its rigging of emissions tests. New Chief Executive Matthias Mueller said the German carmaker would tell customers in the coming days they would need to have diesel vehicles with illegal software refitted, a move which some analysts have said could cost more than $6.5 billion. In Washington, U.S. lawmakers asked the automaker to turn over documents related to the scandal, including records concerning the development of a software program intended to defeat regulatory emissions tests. In separate letters, leading Republicans and Democrats on the House Energy and Commerce Committee requested information from both Volkswagen and the U.S. Environmental Protection Agency as part of an investigation into the controversy. Europe’s biggest carmaker has admitted cheating in diesel emissions tests in the United States and Germany’s transport minister says it also manipulated them in Europe, where Volkswagen sells about 40 percent of its vehicles. The company is under huge pressure to address a crisis that has wiped more than a third off its market value, sent shock waves through the global car market and could harm Germany’s economy. “We are facing a long trudge and a lot of hard work,” Mueller told a closed-door gathering of about 1,000 top managers at Volkswagen’s Wolfsburg headquarters late on Monday. Volkswagen did not say how the planned refit would make cars with the “cheat” software comply with regulations, or how this might affect vehicles’ mileage or efficiency, which are important considerations for customers. It said it would submit the details to Germany’s KBA watchdog next month. Manipulating emissions results allowed Volkswagen to keep down engine costs in a “clean diesel” strategy that was popular in Europe and at the heart of a drive to improve U.S. results. The crisis is an embarrassment for Germany, which has for years held up Volkswagen as a model of its engineering prowess and has lobbied against some tighter regulations on automakers. The German car industry employs more than 750,000 people and is a major source of export income. Economy Minister Sigmar Gabriel told reporters he was not worried about damage to the economy from Volkswagen’s problems, “at least, not if we deal with it sensibly.” There must be no “soft pedalling, no obfuscation and no covering-up” by Volkswagen, he added. The KBA had set Volkswagen an Oct. 7 deadline for a plan to bring diesel emissions into line with the law. Investors are impatient for answers too. A survey of 62 institutions by investment banking advisory firm Evercore ISI found around two-thirds said it would not be possible to invest in Volkswagen over the next six months if costs, fines, legal and criminal proceedings were outstanding or inadequately quantified. VW’s brand image has also slumped this month, market researchers YouGov said, citing a survey of about 2,000 consumers. Volkswagen said previously about 11 million vehicles were fitted with software capable of cheating emissions tests, including 5 million at its VW brand, 2.1 million at luxury brand Audi, 1.2 million at Skoda and 1.8 million light commercial vehicles. Refitting 11 million cars would be among the biggest recalls in history by a single automaker, similar in scale to Toyota Motor Corp’s (7203.T) 2009-2010 recall of more than 10 million vehicles over acceleration problems, though dwarfed by the number recalled by multiple carmakers due to faulty Takata Corp (7312.T) air bags. Volkswagen sold 10.1 million vehicles in the whole of 2014. The company said last week it would set aside 6.5 billion euros ($7.3 billion) to help cover the cost of the crisis. But analysts think that may not be enough, as it faces potential fines from regulators and prosecutors, as well as lawsuits from cheated customers. Spain’s industry ministry said on Tuesday Volkswagen’s local business had agreed to return fuel-efficiency subsidies on vehicles that had broken rules. It said Spain, which offered subsidies of 1,000 euros for energy-efficient car purchases, would ask for the money back from the car manufacturer and not consumers. Volkswagen shares dropped 4.1 percent to close at 95.20 euros ($107.09) in European trading on Tuesday. Mueller also said Volkswagen’s core VW division, struggling with high-fixed costs and low profit margins, would be given more autonomy, akin to the independence enjoyed by premium flagship brands Audi and Porsche. Analysts have long urged the company to tackle underperformance at its core mass-market brand, and to dilute control from the center which has been blamed for product delays and problems adapting to local markets. A source familiar with the matter also said the executive committee of Volkswagen’s supervisory board would meet on Wednesday to discuss progress with the company’s investigations and engaging U.S. law firm Jones Day to lead an external probe. Klaus Mohrs, mayor of Wolfsburg where Volkswagen employs around 70,000 people, said on Monday he expected a sharp decline in business taxes due to the crisis, and announced an immediate budget freeze and hiring ban. The emissions scandal has sent ripples through the global car market too, with manufacturers fearing more costly regulations and a drop in diesel car sales. The European Commission is working on plans to reform the European system for approving new models of cars by the end of the year. In writing a bankable business plan, form and structure are as important as the content and substance of the plan. It is therefore important to discuss the basic formation or layout of a business plan that will make a reasonably good impression on your bankers or financiers. Generally, a well-written business plan will show the reader that you are serious if it is well presented, looks good, is catchy to the eye as well and generally professionally presented. Here is what I suggest must go into your plan. The Executive Summary: This is the most important section of your business plan. 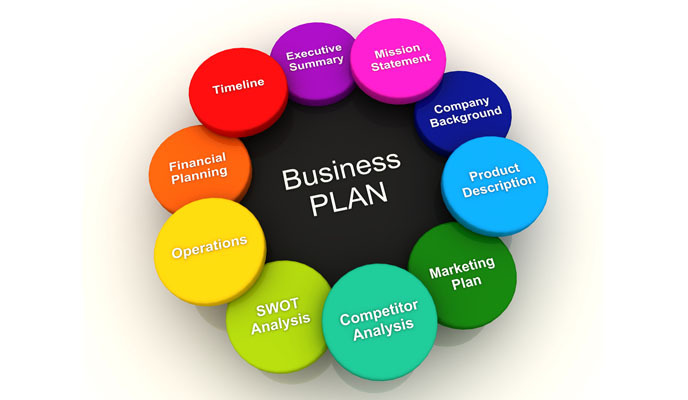 It summarises everything that is in the rest of the business plan in a compelling and interesting way. It should be the first thing your readers will see; the executive summary will either grab your readers’ interest and make them want to read the rest of the business plan or it will put them off, get them to put it down and forget about it. More than anything else, this section is important because it tells the reader why you think your business idea will be successful, in high-level terms. This means that the executive summary should be the last section you write but it should be positioned at the beginning of your business plan. You however write this last after you have worked out all the details of your plan, and you are in a better position to summarise it. Yes, it must be a summary! Short and sweet, to arouse sufficient interest in the readers! Generally, it should be no more than two pages. The Contents Page: Sets out the various chapters and their headings in their order of appearance in the business plan. The contents page will tell the reader where to find what information and help them in locating specific sections in your business plan. It must be included directly following the executive summary. You are advised to keep the content titles short and broad; i.e., avoid detailed descriptions or whole sentences in your table of contents. Company Description: This section should include a high-level look at how all of the different elements of your business fit together. This section should include information about the purpose of your business as well as list the primary factors that you believe will make your business a success. When defining the purpose of your business, be sure to list the marketplace needs that you are trying to satisfy; include the ways in which you plan to satisfy these needs using your products or services. Finally, list the specific individuals and/or organisations that you have identified as having these needs. For example, some primary success factors might include a superior ability to satisfy your customers’ needs, highly efficient methods of delivering your product or service, outstanding personnel, or a key location. Each of these may give your business a competitive advantage. Market Analysis: This section should illustrate your knowledge about the particular industry your business is in. It should also present general highlights and conclusions of the marketing research data you collected when you were conceiving the business idea; however, the specific details of your market research studies should be moved to the appendices section at the end of your business plan. This section should also include a clear description of the industry and its outlook. You must show an understanding of the industry size, number and variety of customers, etc. Include your target market information, an evaluation of your competition. You must describe who they are and how you compare to them, especially in the eyes of customers. Make it clear how your business offering is different. Share the promotions and tools you intend to use in order to meet your target market expectations. Explain your pricing and other elements of your marketing plan. For limitations of space, we will stop here for now. We are not done just as yet. Next week we cover the last parts of drafting a bankable business plan. DODOMA, July 12 (Reuters) – Tanzania’s ruling party on Sunday named Works Minister John Magufuli as its candidate for this year’s presidential race, a move that means he will most likely become the next president of the east African nation. The Chama Cha Mapinduzi (CCM) party has ruled Tanzania for five decades and its candidate is widely expected to win the Oct. 25 election, taking over from President Jakaya Kikwete, who has served a maximum two terms. The announcement followed a divisive party vote on a short list that had omitted Edward Lowassa, 61, a former prime minister who had been seen as leading the field. He resigned as premier in 2008 over corruption allegations in the energy sector, which he denies. From a final list of three, Magufuli, 55, beat two female contenders: former senior U.N. official Asha-Rose Migiro and African Union ambassador to the United States Amina Salum Ali. “The result of voting from this conference is John Magufuli (87 percent), Ambassador Amina Ali (10 percent) and Dr. Asha Migiro (3 percent),” CCM said via Twitter, ahead of a formal declaration by the party. Party officials did not say why Lowassa had been left off a short list, that initially included five, that had been whittled down from 38 hopefuls by CCM’s central committee, chaired by the president. Tanzania has been one of Africa’s most politically stable nations and has not been torn by the debate raging in parts of the continent, where some presidents have been eying third terms despite constitutional restrictions. Lowassa has yet to comment. But one aide had said that he if he was not picked he could still make a bid for the presidency as an opposition candidate. The main opposition parties promised last year to field a single candidate in the election, but experts say they may struggle to overcome years of mutual suspicion and infighting.